The Yearbook of Moving Image Studies (YoMIS) reflects and discusses the academic, intellectual, and artistic dimensions of the moving image with an international perspective. 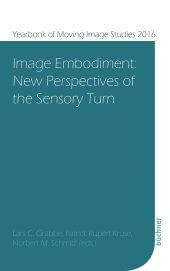 The publication will be enriched by contributions from disciplines like media and film studies, image science, (film) philosophy, perception studies, art history, game studies, neuroaesthetics, phenomenology, semiotics and other research areas related to the moving image in general. YoMIS is a double-blind peer-reviewed, interdisciplinary publication aimed at an international academic readership; and therefore an innovative quality publication with a high level of international expertise. It is supported by an interdisciplinary editorial board and will be published annually as epub, pdf, and print on demand book. YoMIS is a premium publication planned and managed by the founders and administration board of the Research Group Moving Image Science Kiel | Münster.